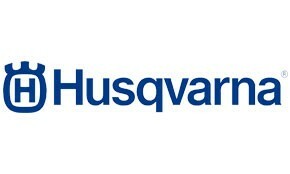 The SOHC engine is the perfect example of the advanced engineering techniques used by Husqvarna Motorcycles. With a peak power of 63 hp and an overall weight of 27.8kg, the 450cc powerplant is not only powerful but also compact. Mass-centralisation is key in the engine design, enabling chassis engineers to benefit from greatly improved handling and manoeuvrability. Additionally, the multifunctional counter balancer shaft significantly reduces vibration while also driving the water pump and timing chain. The lightweight 5-speed gearbox incorporates a low-friction coating on the shifting fork guaranteeing smooth and precise shifting while the gear lever features a clever design that prevents dirt build-up and keeps the lever tip in its original position ensuring perfect control. The gearbox also features an advanced gear sensor which selects specific engine maps for each gear and allows the engine to distribute the ideal power delivery. The hydro-formed, laser-cut, and robot-welded frame expertly crafted by WP Performance Systems has been designed with calculated parameters of longitudinal and torsional flex. New aluminium head stays provide more efficient engine mounting while retaining a light, compact and strong package. The frame is finished off with a premium white powder coating and standard frame protectors guaranteeing supreme protection and durability. The composite subframe is a design unique to Husqvarna motorcycles showcasing pioneering technologies and innovation. This 3 piece component is made up of 30 % carbon fibre making it remarkably light (1.4 kg) and strong. Specific care has been taken to create a certain rigidity for optimal handling and rider ergonomics.